The western new years day may have come and gone, but it's all kicking off in China where the year of the tiger moves aside to usher in the year of the dragon. Beijing-based social mobile developer PunchBox has more to celebrate than usual as it sets off the fireworks. Its freemium title Fishing Joy has been updated with a Chinese New Year-themed update. Potently, however the developer also celebrates that it has passed the 30 million download milestone across iOS and Android. "As a Beijing-based company, we are proud to bring our Chinese heritage to this special version of Fishing Joy," said Lei Zhang, GM of its US division, Punchbox USA. "With over 30 million downloads around the world, Fishing Joy is one of the most popular mobile games available, and we know that this new Chinese New Year edition, will appeal to gamers no matter where they live." 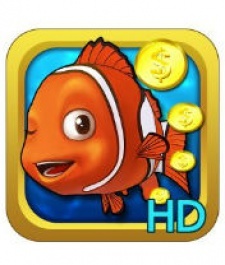 Fishing Joy is available on iPhone and in HD on iPad, with an Android version also available.